In 2017, in response to serious threats to Maine’s environment as a result of federal policies and proposals, NRCM created a Federal Project. Emmie leads this important effort, working closely with her NRCM colleagues and partners at national organizations to develop a response. This work includes tracking proposals coming from the Trump Administration and Congress, assessing the effect those proposals would have on Maine’s environment, informing Maine people, businesses, and media about possible threats, and communicating with members of Maine’s congressional delegation. Emmie grew up on Orr’s Island and graduated from Colby College where she studied Environmental Policy and Government. 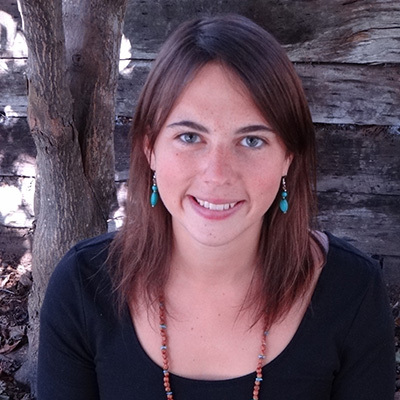 Prior to heading up NRCM’s Federal Project, Emmie worked on climate and clean energy advocacy for NRCM for eight years and was the founding director of NRCM Rising. Emmie has traveled to and studied in diverse ecosystems, from the forests of Tasmania and the Andes to the deserts and Himalayan Mountains of India, from the jungles of the Amazon to the unique biodiversity of the Galápagos Islands. She has also experienced the natural wonders of the U.S. and Canada though her visits to most of the national parks. She lives with her family in Hallowell and enjoys sea kayaking, hiking, skiing, fly and ice fishing, canoeing, camping, and outdoor photography. "The nature of Maine, which I cherished as a child and still do today, is unique and exceptional. This is in great part because of the attention, diligence, and care many people before me, including NRCM’s founders and members, have shown over decades. I feel an obligation and calling to do my part in protecting this special place for my children and theirs."